No matter where in the world you are, there will always be that one, surprising piece of art you didn’t expect to find. Sometimes, nature finds its ways into everyday city life, and sometimes us people add a little culture to nature instead. But it also happens that urban meets culture – and sparks the imagination like nothing before. 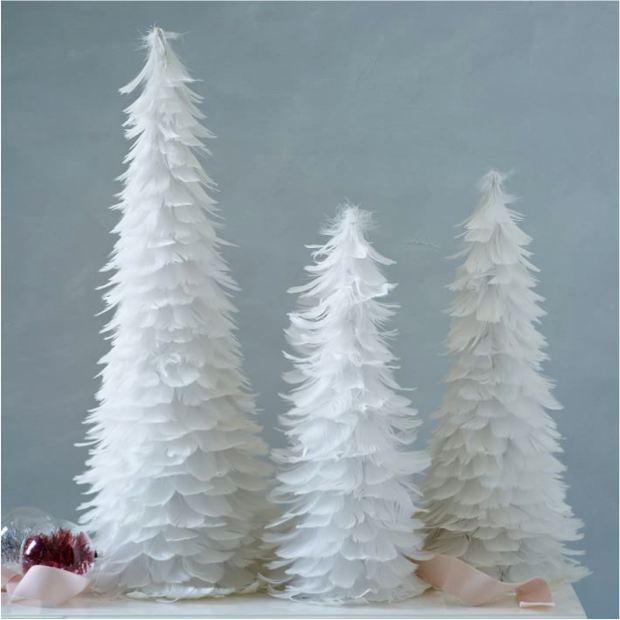 Check out these inspiring finds, creations and highlights, blending urban, nature and culture into one, perfect being. 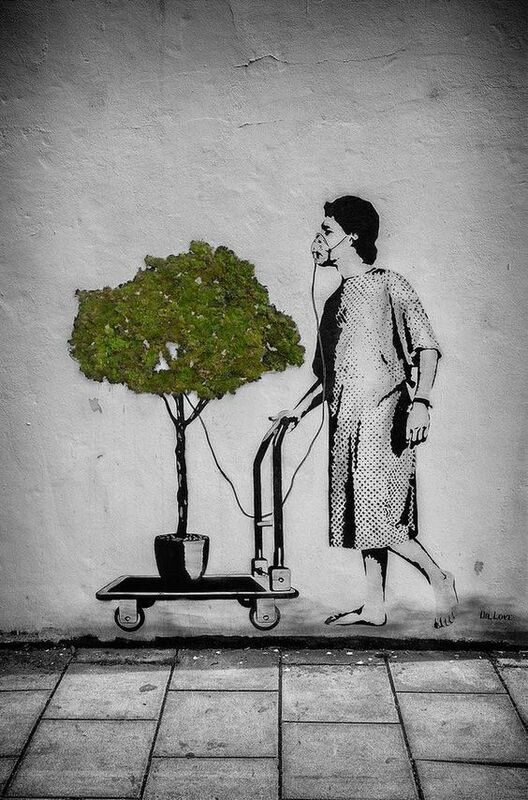 Australian artist Michael Pederson created this piece of street artwork in his hometown, Sydney. 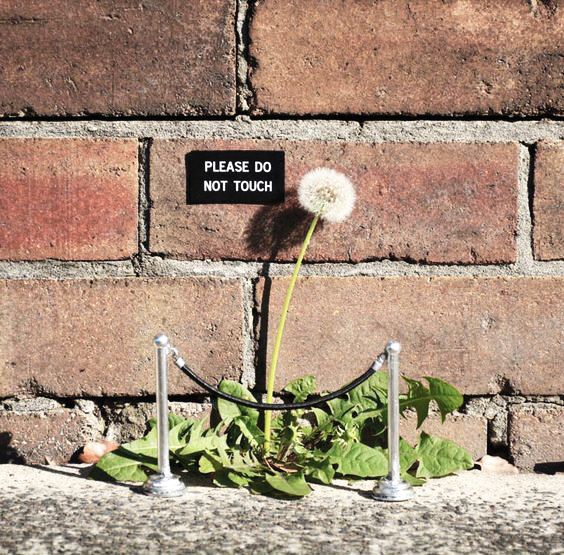 This dandelion, that hardly anyone would’ve normally noticed, now becomes a public display of art. Nature’s one big museum! A powerful message from mystery man Banksy – one of many strong artworks he created in the city of London. We need nature for urban culture to survive. 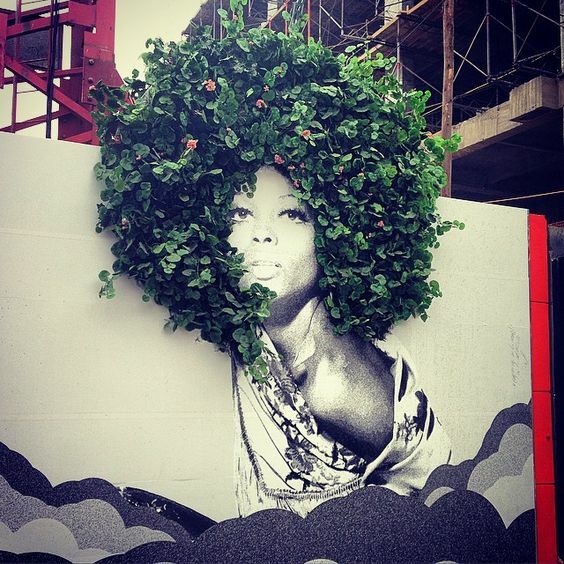 We love how creative the creators of this Urban meets Nature piece have been. 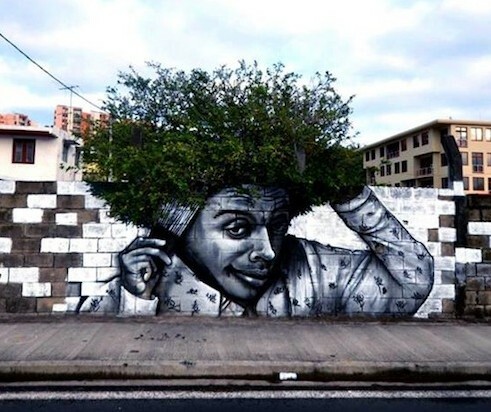 Turning a simple, concrete wall into such mind-blowing pieces that combines nature with streetart, is a gift that requires thinking outside the box. Found in Bogota, Colombia. Turning the street furniture of Germany into little, imaginary houses has made street artist EVOL stand out. Each painting is incredibly realistic, turning something boring into something that puts a smile on the people who pass by. We can see tiny little people living there, for sure. 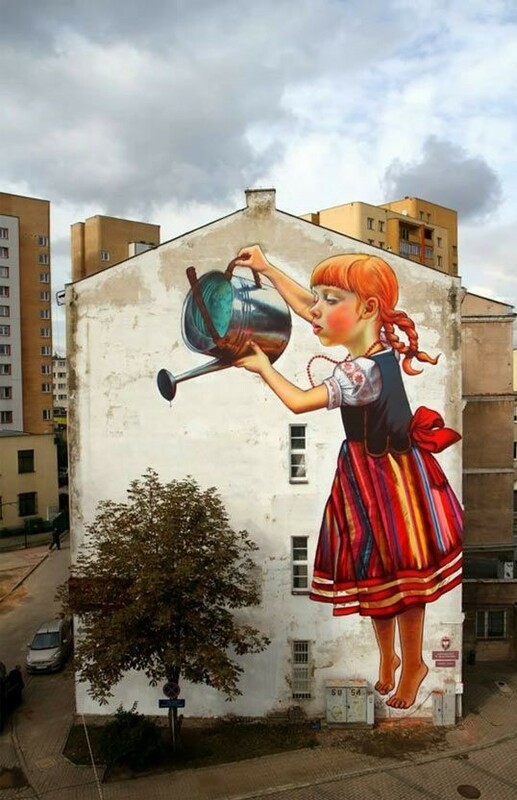 Polish artist NeSpoon did something extraordinary to the city of Warsaw. 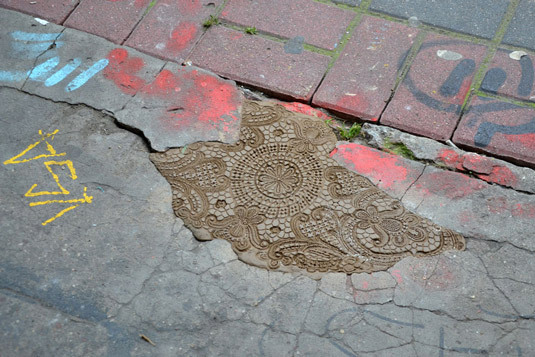 She decorated it with what she calls ‘jewelry of the public space’, creating beautiful, intricate designs with paint, yarn and cement. 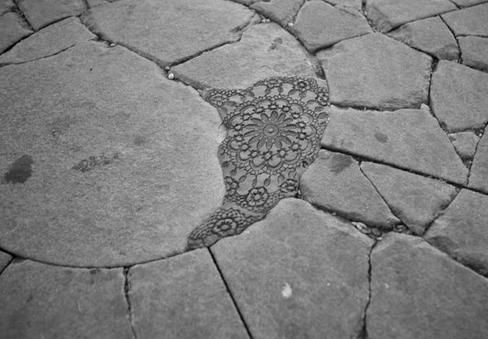 Admit it, if you’d walk past this lace beauty, you’d stop and stare for a minute. 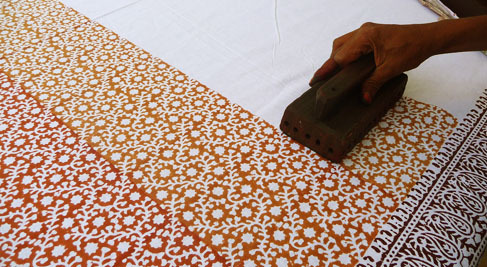 Using the pattern of traditional Polish lace, she brings culture and turns it into an urban work of art. This is the prime example of urban meets nature. 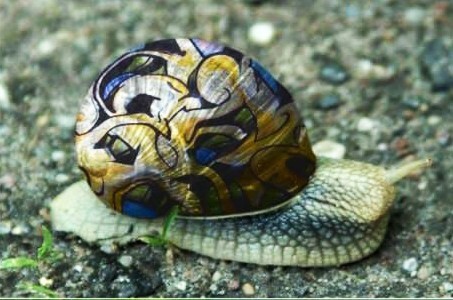 A lot of people were heartbroken to see so many snails being stepped on, and decided to make them more visible. 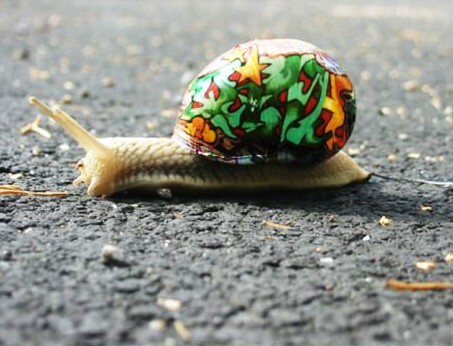 By decorating their houses with non-toxic acrylic paint, it’s a live form of slow moving street art. We image the snails are thankful as well. Crochet is back in – and not just for grannies. 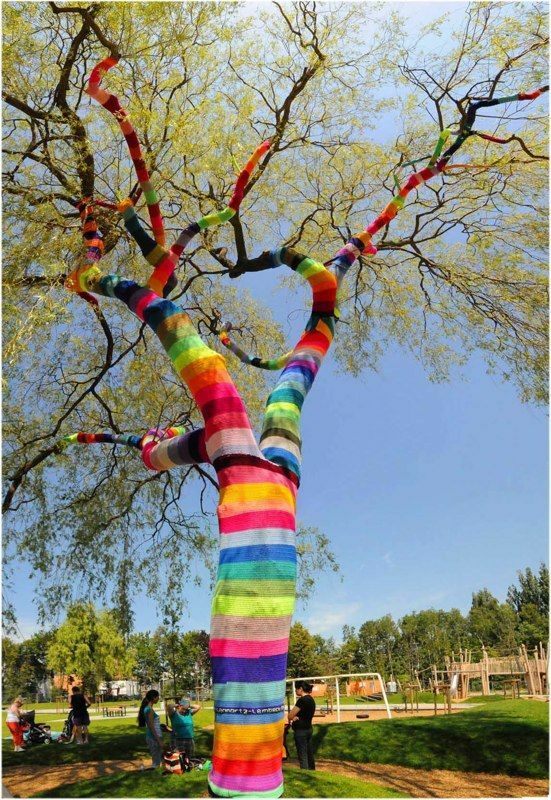 Guerilla crochet, better known as yarn bombing, has been happening all over the world in the past few years. One of the most known crochet street artists is Olek, who has covered anything from London taxi’s to the Wall Street bull. 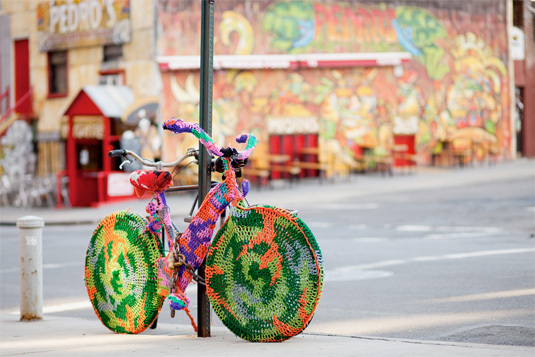 Trees, bikes, city lights, benches, statues…anything can be ‘bombed’ by knitting enthusiast. It sure adds some colour to the streets. Have you found an exciting work of art on your travels? 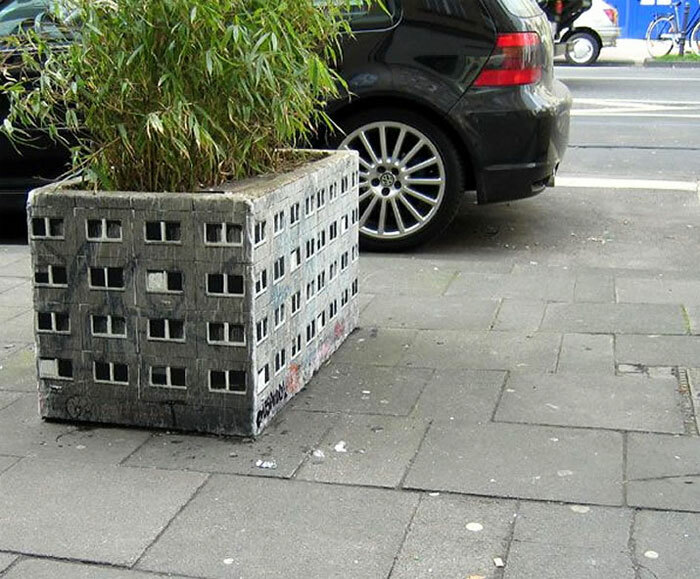 Something that lets urban meet culture or culture meet nature? Let us know on the Urban Nature Culture Facebook!